Although he freely admits he hasn’t actually read the script yet, Mark Ruffalo has been rather forthcoming about his suggestions for (and interpretations of) Thor: Ragnarok. The actor, who’s set to appear as Bruce Banner/The Hulk in the third installment of series, has already shared an idea for an onscreen interaction between the scientist and his gamma-ray-bombarded id, which would presumably happen via some kind of personality-split a la Steve Urkel and Stefan Urquelle on Family Matters. And in a recent interview with Empire, Ruffalo has taken to describing the sequel as an unconventional “road trip movie” that will play out across the universe. 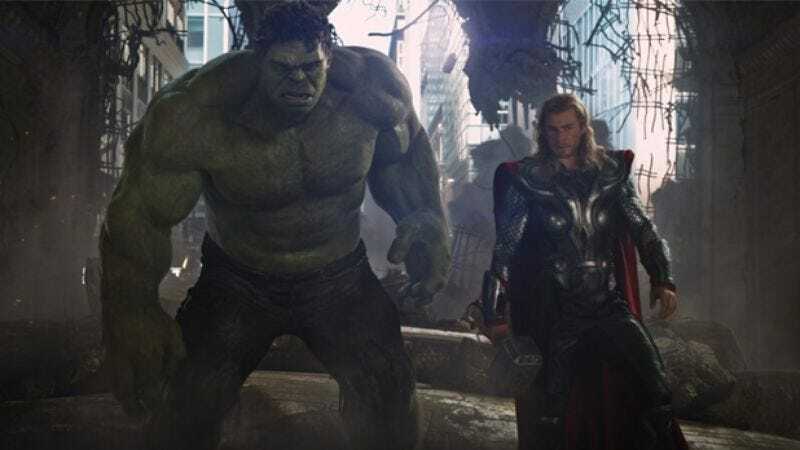 Ruffalo previously alluded to a change in the characters’ relationship (meaning they would actually have one) for the sequel, describing Thor: Ragnarok as a “buddy picture.” But seeing as contemporary friendships can play out entirely online—as long as you share enough cat videos—Ruffalo has followed up with a new setting for all the amiable brawling he anticipates between the two characters. He told Empire that early discussions of the film have led him to think of it as “Midnight Run, with [Charles] Grodin and [Robert] De Niro. I feel like that’s kind of where we’re heading with this relationship between Thor and Banner.” Ruffalo’s comparison is presumably referencing the chemistry between Grodin and De Niro in the 1988 film, although it might be interesting to see just how big the handcuffs needed for The Hulk would be (not to mention learning what charges would prompt either Avenger to jump bail). “It is a universal road movie,” Ruffalo continued, perhaps recalling that The Hulk is still in possession of the Quinjet, while conveniently ignoring the fact that this particular Avenger doesn’t travel well. In any case, Ruffalo does believe the movie, which is being directed by Taika Waititi, will allow for a more playful dynamic between the two characters. He also confirmed that The Hulk will be knock-knock-knockin’ on Heimdall’s door in the movie, which is currently in the process of being rewritten.